Energy Start Air Purifiers, Filters and Accessories- CLICK HERE! Why Alen air purifiers are a good choice. Alen Air Purifiers are great for pet danderAll Alen air purifies have HEPA filtration which removes up to 99% of airborne contaminants like pet dander and pet hair which often aggravate those with pet allergies. All Alen air purifies have HEPA filtration which removes up to 99% of airborne contaminants including MOLD SPORES. An estimated 20 million Americans have asthma. Asthma a chronic illness of the respiratory system that involves inflammation and constriction of airways as well as increased mucus production. Asthma is usually the result of hypersensitivity to certain triggers such as allergens, air temperatures, exercise or stress. Although scientists do not have a clear picture of the disease, doctors have been able to treat symptoms as they occur. Alen Air purifiers can control and help eliminate Asthma attacks. Indoor air environments where pollutants such as tobacco smoke were present, significantly worsened symptoms of COPD patients. In terms of improving the quality of life and especially for the COPD patients it is critical to breathe indoor air that is as clean as possible. Source control is the best method to improve the air and for this case study simply not allowing any smoking inside should improve the results. In addition, an effective air filtration system that removes the smallest particles is important as those are the particles that travel to the lungs. GE Water Filters and Filter Parts- CLICK HERE! 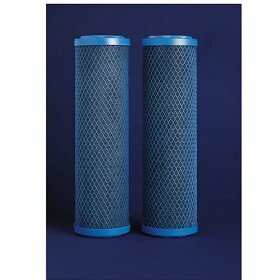 Two filters for use in GE premium filtration reverse osmosis drinking water systems. The GE FX12P reverse osmosis filter set fits many GE Smartwater reverse osmosis drinking water systems. This FX12P filter set includes one 9 3/4 inch long pre-filter and one 9 3/4 inch long post-filter. Fits heavy-duty sediment filtration systems. Replacement water filter fits GE heavy duty sediment and whole house water filtration system models GXWH30C. Also fits most Culligan and Omni water filtration systems. Reduces sand, sediment, and rust. riginal GE General Electric part number FXHSC. Approximate filter capacity 24,000 gallons. Approximate filter life of 3 months.